Down pipe visibility vastly improved with High Dynamic Range (HDR) giving more clearly defined detail of pipe characteristics. Rugged, high-intensity LEDs for exceptional viewing and long life. Self-leveling camera head keeps the image upright (certain models) Powerful FleXmitter® sonde has long range and preserves the camera's ability to make turns. 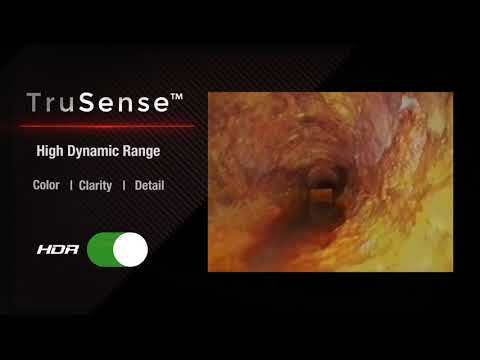 High Dynamic Range (HDR) image sensor offers bright, clear in-pipe imaging in difficult lighting conditions TiltSense displays the camera's pitch in a pipe on a connected SeeSnake CSx series monitor.